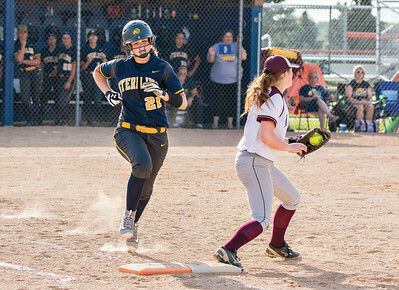 Sterling's Gretchen Gould (left) is out at first base as Marengo's Megan Anthony catches the ball during Friday's game in Genoa. 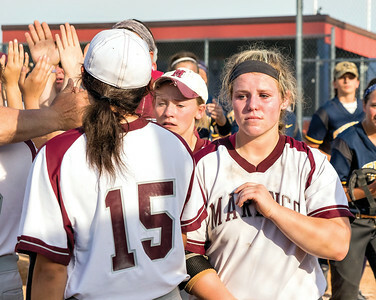 Marengo pitcher Mariah Dionne (right) reacts to Marengo's loss against the Sterling Warriors Friday at the Sectional Championship game in Genoa. 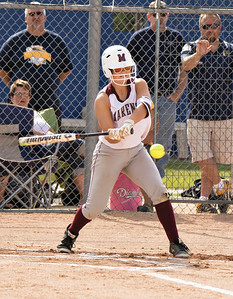 Marengo's Mariah Dionne hits the ball during Firday's game in Genoa. 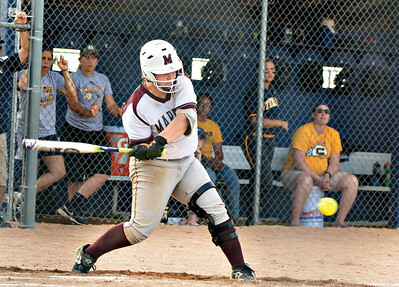 Marengo's Susannah Nawrot hits the ball during Friday's Sectional Championship game in Genoa.